Printable Elapsed time worksheets starting with five minute intervals and calculating intervals within and past the current hour. These elapsed time worksheets are the the most difficult of the elapsed time calculations here, with problems starting from arbitrary intervals of five minutes on the clock. 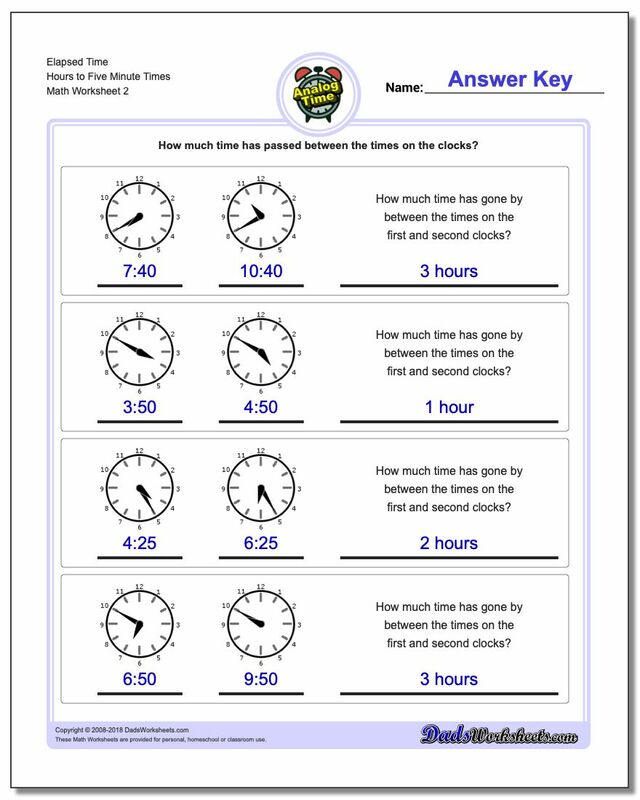 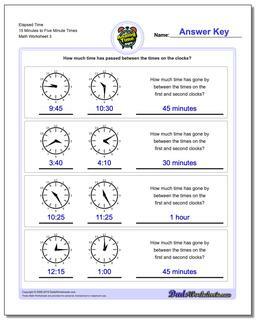 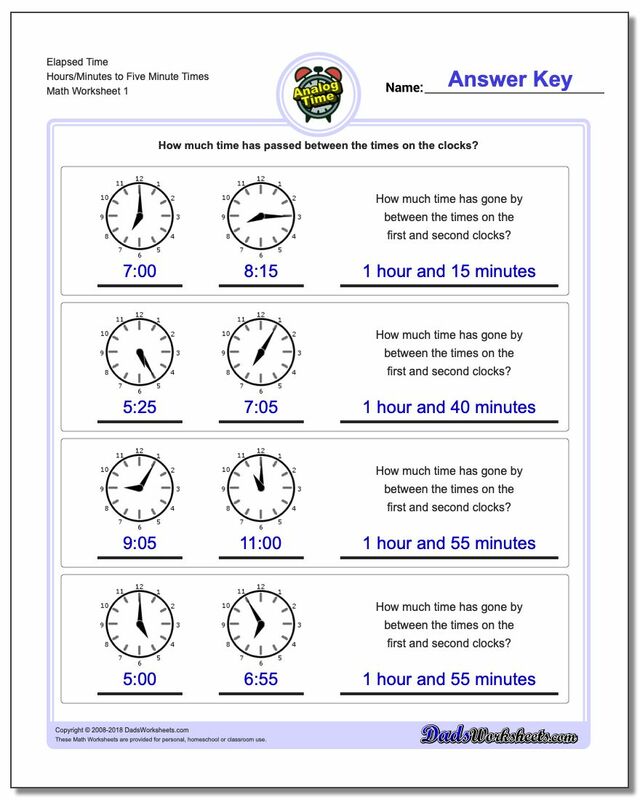 These elapsed time worksheets begin with final times that the same as the starting hour, then move on to calculating times that cross the twelve o'clock point on the clock face. The addition steps for those problems requires calculating the minutes required to use up the current hour and then find the extra minutes that 'carry' into the end hour to get the final time.